One of the country’s most eminent and celebrated military historians, Sir Antony Beevor will be giving a lecture at St Edward’s on his recently released book, Arnhem: The Battle for the Bridges, 1944 in association with the charity Combat Stress. Sir Antony served as a regular officer with the 11th Hussars Regiment and has gone on to write fourteen works of historical non-fiction, winning recognition from several countries for the work he has done researching and recording their nations’ histories. His latest published work focuses on Arnhem and the infamous Operation Market Garden, the World War II Allied plan to end the war in the autumn of 1944. He will be speaking about his research and book which offers insight from many overlooked and other new contemporary sources to show the campaign in a new light, removed from the shrouds of myth. The talk and Q&A will take place in The Old Library on Tuesday 12th June 2018 at 7.00pm. Pupils and staff interested in attending need to contact Mrs Picknett to book a place. The talk is also open to members of the public and tickets, in support of Combat Stress, are available for purchase here, directly from the charity. Combat Stress is the UK’s leading charity for veterans’ mental health, working to support veterans for nearly 100 years. 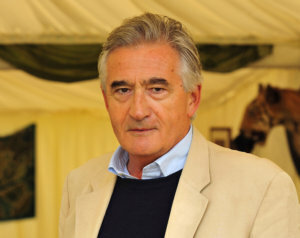 Sir Antony Beevor has written extensively on military history, primarily the Second World War. His work has sold more than seven-and-a-half million copies.